Seven Things I Learned From The Weakness Cup - bzzzt! About 2 weeks ago I had just come off the back of a very busy weekend where some way or another I was still able to find time to take part in The Weakness Cup. I didn’t play the full quota of matches, but at any rate something was far better than nothing . I’ll post my team review sometime. But for now I thought I’d share some things I learned whilst taking part in this competition. Some of things will be specific to TWC, others more in general. I observed a fair bit on Showdown to get an idea of what some people were planning, and I was surprised to see how infrequently I saw Tyranitar. On the surface this seems odd, and the only reason I can think of is that just had to many weaknesses? Having said that the two times that I lost hard was due to Tyranitar + Lycanroc (Day Form.) Sandstream boosted their Special Defense, and the chip damage was a factor. Lycanroc was a surprising partner to Tyranitar, and I actually thought I’d not see it used to often. The preview article about the Weakness Cup on the Pokémon site suggested that Trick Room would be less common, in part due to common weaknesses to Ghost/Dark attacks. But seeing as I did have Togekiss with Follow Me, I was able to setup Trick Room with Chandelure and not really suffer too much damage to Togekiss. So how did using Trick Room go? And finally, it’s easier to put a team together that have 4 perfect IV’s and a random speed IV in the time you have to breed. And with this competition Trick Room worked pretty well: Togekiss, Chandelure, Kommo-o and Mamoswine all have spread-moves which hit hard. Plus I just don’t think many of my opponents saw it coming. Maybe because it was because most of my team have middling speed stats as opposed to being slow, and that a more obvious team of Rhyperior, Abomosnow, Tyranitar etc would have given the strategy away. At any rate, opponents would start with fast attackers and then lose out on the second turn. Kommo-o is a bit of a strange beast: it has good offensive stats, with Attack and 110 and Special Attack at 100, yet in Clanging Scales it has a signature move that is a Special Attack with 110 BP. Seeing as Clanging Scales is a spread move, it made sense to go with a Special Attack-based Kommo-o. And though it is a good move, I made the mistake of not giving Kommo-o Weakness Policy. Had I done so and made him a mix attacker it would have been far more effective. If I had gone for a Brave or Quiet nature and gone for a 0 speed then it would have been even more of a threat in Trick Room. As it was I had Kommo-o hold a Roseli Berry, which proved completely useless as opponents tended to use Ice-type moves against it. Looking at the calcs, Kommo-o would survive one Icicle Crash from a Mamoswine/Weavile, so Weakness Policy would be viable. The difficulty here would be setting up, as you would need to activate Trick Room and then switch Kommo-o in, and Trick Room could only really be set-up when starting with Togekiss as Chandelure’s partner. Ah well, guess we’ll never know for certain how well it could have worked. Maybe outside of TWC there’s the perfect Trick Room partner for Kommo-o. But certainly Weakness Policy would have been a better choice than using a Roseli Berry. If Roseli Berry was useless, and Weakness Policy was not viable, then surely Yache Berry would have been a good option on Kommo-o? Yes, but I decided that Archeops would benefit from the Yache Berry (turn out I was wrong here but then I’ll get onto Archeops later…) But on the other hand I got it right with Togekiss. With so many common weaknesses across team members, it was hard to correctly guess who would benefit most from what berry. This might be an indication of poor team building, but also the nature of the competition. I love Mamoswine, I really do. Rarely have I been immediately impressed with a Pokemon straight off: maybe Gliscor, Greninja, and Aegislash; they have a method that works very well But Mamoswine was definitely another one to add to the list. It has a great offensive typing, access to decent moves and a nice distribution of stats. I’ve only ever used Mamoswine with Choice Scarf, and it is painfully obvious that Mamoswine really needs it. Although Icicle Crash and Earthquake are powerful STAB moves it lacks any decent stat-boosting moves. And so you have to choose Jolly over Adamant to make it fast enough for it to be competitive. Again in Trick Room this is not the case, but it’s 80 Speed doesn’t really make it an outstanding candidate for a Trick Room team. 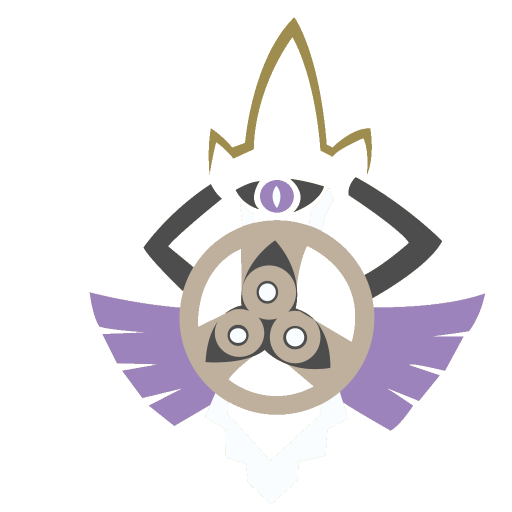 Nevertheless Chandelure is a great partner to Mamoswine, even with it’s weakness to Earthquake. I’m a big fan of the Gen 5 Pokémon. Those Pokémon are so unfairly maligned. So many of them are awesome: Krookodile, Scrafty, Chandelure…. I won’t write a list of Pokémon, but suffice to say I’d love to play through Black or White again just to have an entirely different team. And one of the Pokémon that really stood out was Archeops. First impressions with all Pokémon are purely visual, and the design is great. And so when looking at the stats, there’s a lot to get excited about. 140/112/110 attacking stats is awesome, making Archeops a great mixed attacker. However, as a fossil Pokémon that shares its typing with another Fossil Pokémon, the arguably preeminent Aerodactyl, it was important that Game Freak set a distinction between the two. Stats distribution helps, but the right Ability would also set it apart and make it the offensive juggernaut it deserves to be. It would be great to say that Game Freak delivered on this. In respects, yes they did, but for all the wrong reasons. Because someone, somewhere at Game Freak HQ decided to create a uniquely bad ability for Archeops: Defeatist. Defeatist halves Archeops’ Attack and Special Attack stats when its HP is equal to or less than half of its maximum. And so Archeops was a very high maintenance Pokémon to have on the team. Whilst dwelling on how useless Archeops’ ability can be, I gave some thought as to what would be a decent Ability instead. The first one that I thought of was Gale Wings, but the ability has been affected somewhat by the fact that you need full HP for it to be active. So somewhat less useful than back in Gen 6. It was also too obvious. Another ability that is far to obvious is “Aerialite” - that which converts Normal type moves to Flying and boosts them by .2. Archeops has access to Quick Attack and Thrash, plus Substitute, which would be a very effective moveset, but again, it’s too obvious. Plus it makes Archeops a Pokémon that has but one viable set. One more than what it has now, but still doesn’t make the full use of it’s potential. So having looked at Archeops in terms of moveset and stats, I think that if Game Freak ever decided to give Archeops some love and change it’s ability, it should be to “Technician.” Technician boosts all attacks that have BP 60 and under by 50%. And Archeops learns A LOT of moves with fairly low power. 8 of it’s 13 damage-dealing moves that it learns by levelling up are at 60 or under. And while only 1 of it’s 6 damage-dealing Egg Moves are at 60 or under (Bite), again 8 of it’s 20 damage dealing TM’s are at 60 or under. And though it’s movepool may be fairly shallow, the typing is broad. Great coverage, has ability to recover with Roost. Whichever ability you go with you’re going to hurt your opponents. I don’t have too much else to say here as the whole post is a summary. But I had a lot of fun playing Weakness Cup, as these types of competition means that you face different Pokémon, even if tactics tend to be similar. Hopefully we’ll see more like this soon. especially as 3.0 was due to be deployed on the Friday before. Usually I hate lateness in people, but in this case her delayed arrival meant I got to play at least a few matches of an evening . the calcs don’t include stat-boosting items as they weren’t part of Weakness Cup. With these i factored in I’m not sure Kommo-o with Weakness Policy would be such a great combo. I am in fact putting the finishing touches to this post on my phone with 3.0 (AKA Lucy) in my arms, with the other two sat around me. Multi-tasking FTW.